eltonjohnfan.de: Who asked you to enter the Elton John band and how was it like to be asked? John Mahon:I met Davey Johnstone during a recording session with Guy Babylon. I have known Bob Birch for a long time and he was a member of an early band of mine in LA. Davey asked me to audition for the band as a backing vocalist. It was very exciting as you could imagine, to be even asked to audition of such a major recording artist such as Elton. eltonjohnfan.de: What´s your favorite Elton Song to play on stage and wich song you don´t like to play? John Mahon: I grew up listening mostly to "Madman Across The Water". "Levon" is one of my favorites from that record. I love doing "Grey Seal". I suppose my least favorite song might be a song that we have played many many times... but I really like to play all of them. Rocket Man might fit the category of songs I could not play one night. eltonjohnfan.de: John when you are touring, do you still try to workout? John Mahon: If you mean workout in an athletic sense that would be yes. And it you mean musically I do a lot more drumming, recording and singing in the studio when I am not touring. eltonjohnfan.de: What´s your favorite Kind of sports? John Mahon: Mountain Biking !! Nature, no cars, not many people, fresh air, silence & a little danger - it doesn't get better than that. eltonjohnfan.de: How do you spend your free time , when you are not touring with Elton ? John Mahon: I tinker around my house fixing things and I try to visit relatives and old friends in America. I like to cycle, and walk my dog in the mountains. I spend plenty of time at work in my studio on new music. With computer music now there is always some learning of new software - it is very time consuming. Do some driving and motorcycling and just happen to love German vehicles like Porsche and BMW motorbikes. eltonjohnfan.de: John, how did Elton take notice of you and how was your first meeting with him? John Mahon: I met Elton for the first time at a rehearsal in Nice, France. I had not met him for the audition process because he was in Europe. So I traveled to Nice for 4 days of rehearsals then flew to Auschafenburg (spelling?) Castle for my first show in summer of 1997. Elton was very gracious and not too intimidating as some artists can be. 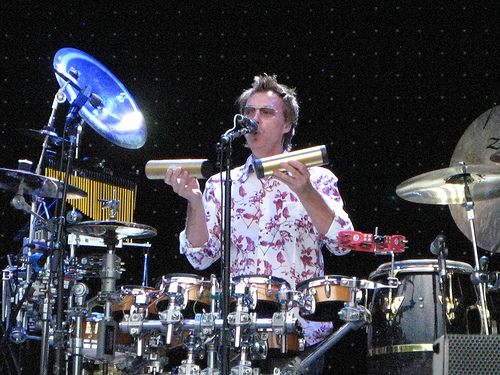 eltonjohnfan.de: Which percussion players inspire you? John Mahon: I have always been a fan of percussionists that are also drummers. Or drummers that explore sounds and electronics. That is what I do as well as a singer of course. Alex Acuna, Manu Katche, Trilok Gurtu, Glenn Kotchke, Tom Roady and Airto just to name a few. eltonjohnfan.de: John, you have been in the band for many many years and your part to sing the high notes for elton will become more and more. How do you keep your voice in that good condition? John Mahon: First of all I do not consider that I am singing the high notes for Elton. Some songs he chooses to sing the lower harmony and Bob, Nigel or I sing the high harmony. Elton has to sing much more during the shows than I do. He may not have the same voice that he had when he was in his 20's (neither do I) but he is still an amazing singer that knows how to keep his voice strong throughout the entire show. Not many singers in his category can do that! I did study voice with a couple teachers so have the technique to keep from damaging my voice. I hope!! 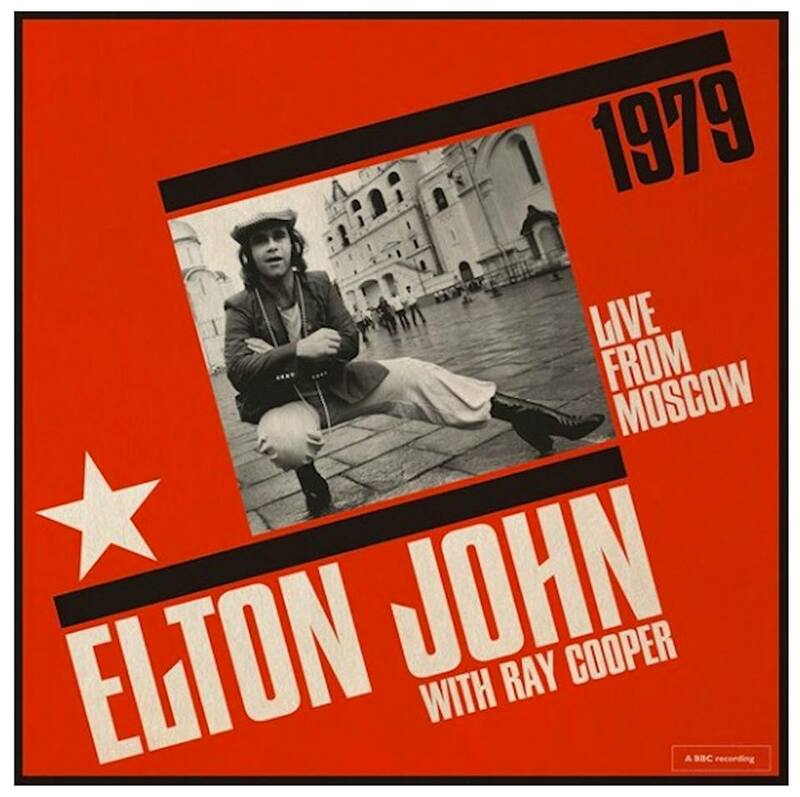 eltonjohnfan.de: In Las Vegas you are singing with Ray Cooper onstage. How is the work with Ray? And is he that "wacky" in private, too? John Mahon: Ray Cooper is very quiet when he is offstage - completely the opposite of what you see during a show. He eats lots of sushi and loves fine champagne and stays very "low on the radar" as the saying goes. I just love to listen to him and try to understand how he does what he does! He is amazing to play with because he is considerate of all the music - the sign of a world class musician. eltonjohnfan.de: Do you have any other ongoing projects at the moment, for example with the band? John Mahon: The only project I have right now is songwriting. Bob Birch and I wrote a song for Jose Feliciano that was on his last record. We are writing more songs wherein I normally write the lyrics and melodies and Bob does the chords and musical arrangement. eltonjohnfan.de: Guys Son is stepping in his father shoes. Do you think he will make it big in europe? John Mahon: Ben Babylon is very talented. He plays great keyboards and is writing some very cool material too. I went to hear his band perform a few months ago - they were great. At this point I think he needs to at least finish high school and then get serious about becoming successful with his band and music. He already has his foot in the door but the music business is very unpredictable and very difficult to make it big. The internet has increased the competition by millions over what it used to be when record companies were in control of how artists got exposure to the public. Now your grandma or someone that cannot even sing well can make a recording with Auto-Tuning software and pose as a 22 year old artist. There are no rules online!! eltonjohnfan.de: John, will we see you solo on stage one day? John Mahon: I imagine when Elton slows down his touring I will most likely need to tour with a band of my own. I think it would be fun - although I don't think I will be playing the type of concert venues that Elton can play!! eltonjohnfan.de: Can you tell us a funny story about you and Elton? John Mahon: That depends on what you think is funny. Elton does like to throw food at me in the dressing room. So of course I might throw something small back, and one day it started with peanuts, then it escalated to fruits and vegetables which was fun until he decided to pick up a whole chicken and throw it at me! Luckily I have quick reflexes... as it missed my head and hit the wall behind me! All good fun. You are welcome and thanks you for supporting Elton and the band for so many years.